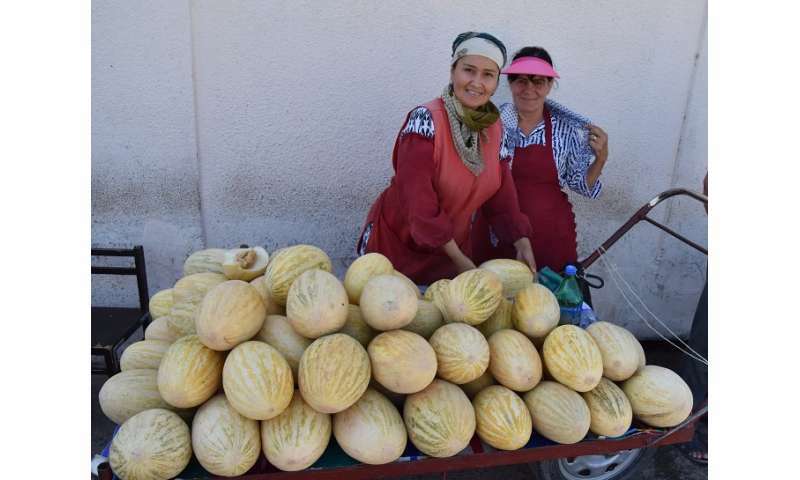 Studies of ancient preserved plant remains from a medieval archaeological site in the Pamir Mountains of Uzbekistan have shown that fruits such as apples, peaches, apricots and melons were cultivated in the foothills of Inner Asia. The archaeobotanical study, conducted by Robert Spengler of the Max Planck Institute for the Science of Human History, is among the first systematic analyses of medieval agricultural crops in the heart of the ancient Silk Road. Spengler identified a rich assemblage of fruit and nut crops, showing that many of the crops we are all familiar with today were cultivated along the ancient trade routes. The Silk Road was the largest vector for cultural spread in the ancient world—the routes of exchange and dispersal across Eurasia connected Central Asia to the rest of the world. These exchange routes functioned more like the spokes of a wagon wheel than a long-distance road, placing Central Asia at the heart of the ancient world. However, most historical discussions of the ancient Silk Road focus on the presence of East Asian goods in the Mediterranean or vice versa. The present study, published in PLOS ONE, looks at archaeological sites at the center of the trans-Eurasian exchange routes during the medieval period, when cultural exchange was at its highest. Additionally, scholarship has focused on a select handful of goods that moved along these trade routes, notably silk, metal, glass and pastoral products. However, historical sources and now archaeological data demonstrate that agricultural goods were an important commodity, as well. Notably, higher value goods such as fruits and nuts were distributed along these exchange routes and likely contributed to their popularity in cuisines across Europe, Asia, and North Africa today. Ultimately, this study demonstrates how the Silk Road shaped what foods we all eat today. Spengler analyzed preserved ancient seeds and plant parts recovered from a medieval archaeological site in the foothills of the Pamir Mountains of eastern Uzbekistan. 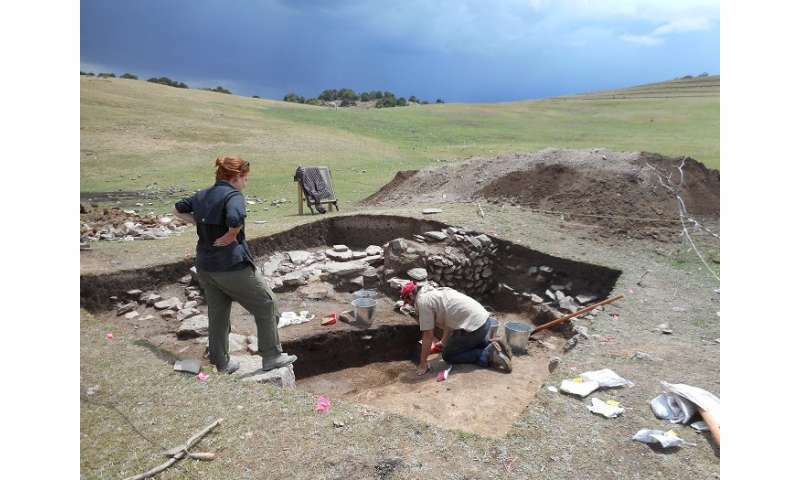 The site, Tashbulak, is currently under excavation by a collaborative international Uzbek/American project co-directed by Michael Frachetti of Washington University in St. Louis, and Farhod Maksudov of the Institute for Archaeological Research, Academy of Sciences in Tashkent, Uzbekistan. The plant remains recovered from this site represent one of the first systematic studies of the crops that people were growing along the Silk Road. In the article, archaeobotanical data are contrasted with historical and other archaeological evidence in order to discuss the timing and routes of spread for the cultivated plants. These plant remains date to roughly a millennium ago and include apple, grape, and melon seeds, peach and apricot pits, and walnut and pistachio shells. This study demonstrates that there was a rich and diverse economy in Central Asia during this period, including a wide array of cultivated grains, legumes, fruits and nuts. The site of Tashbulak is located at 2100 meters above sea level, above the maximum elevations at which many of these fruit trees can be grown, suggesting that the fruit remains recovered at the site were carried from lower elevations. Historical sources attest to the importance of fresh and dried fruits and nuts as a source of commerce at market bazaars across Inner Asia. These trade routes facilitated the spread of many of our most familiar crops across the ancient world. 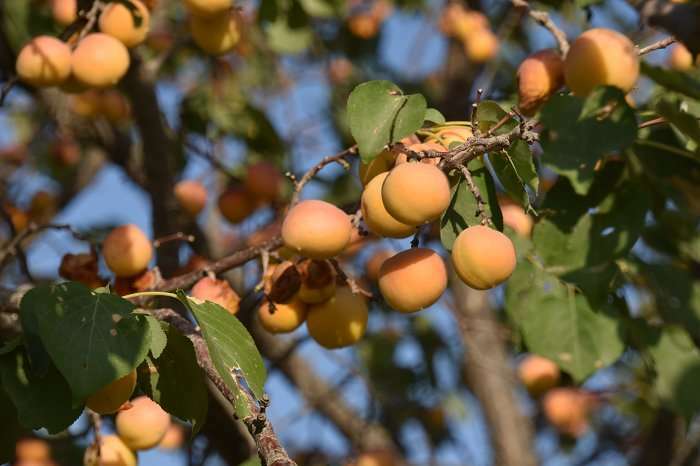 For example, the earliest clear archaeological evidence for peaches and apricots comes from eastern China, but they were present in the Mediterranean by the Classical period. Likewise, grapes originated somewhere in the broader Mediterranean region, but grape wine was a popular drink in the Tang Dynasty. We can now say that all of these fruit crops were prominent in Central Asia by at least a millennium ago, likely much earlier. Spengler says, "The ecologically rich mountain valleys of Inner Asia fostered the spread of many cultivated plants over the past five millennia and, in doing so, shaped the ingredients in kitchens across Europe and Asia." Recreating an exotic wine from fruit grown on your own land is the thing that the ultra-rich of yore had in common.